In case you haven’t noticed it yet, we’ve been trailing the imminent arrival of Acer Aspire P3 convertible Ultrabook into Malaysia since it was announced in New York earlier this month. 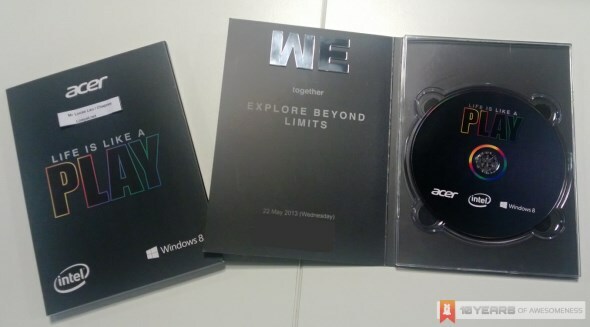 Now, we able to confirm that the device will indeed be launched in Malaysia on 22 May as per what we reported on Monday, thanks to an invite directly from Acer Malaysia themselves. The Iconia A1 tablet which was also announced at the New York event didn’t appeared in the video though, so we are not expecting it not to show up during the said launch event. Nevertheless, we will be at the event to check out these new Acer Ultrabooks at the launch event, so stay tuned for that next week. Yes 4G, Google and Samsung To Hold Joint Launch Event On 22 May: Can We Expect A Chromebook?